"Looking beautiful starts by feeling beautiful". 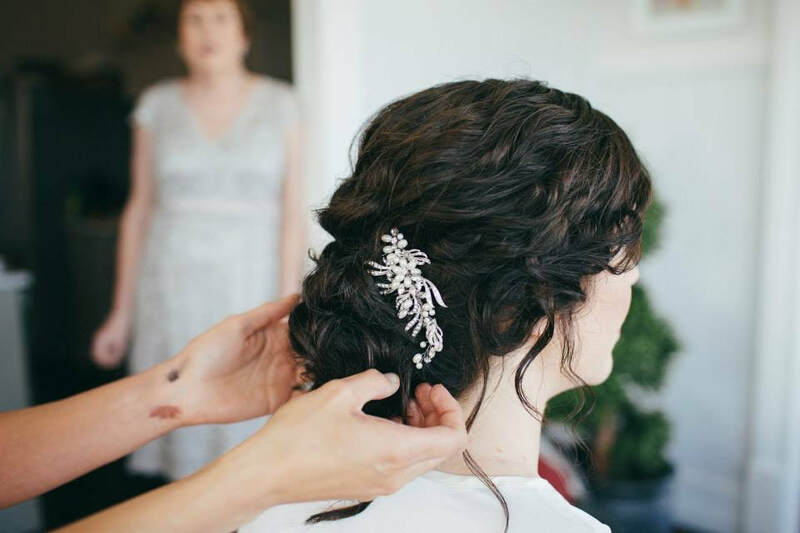 Whether it is a soft tousled upstyle, a boho braid with lovely texture or cascading curls that will last right through the night, Rachael will work with you to create a beautiful hairstyle that suits you. From the concept of a picture, she will take into account your face shape, your hair type and texture, your dress and accessories to make sure everything is just right for you. Her experience is vast and she knows just what products and techniques to use. She can also use extensions and padding to help create the desired look. Contact Rachael here for a quote today. Rachael is experienced in both traditional and airbrushed makeup. She uses an array of different products to suit your skin type and the desired finish. She has a very sharp eye for colour and knows just how to contrast and pick up your features with the sweep of a brush. All makeups include lashes. Rachael also stocks her own range of touch up products which can be purchased to ensure your makeup stays fresh all day. Contact Rachael here for a quote today. Trials are performed at Rachael's home studio in Carina Heights. She takes her time to make sure you are 100% happy with the look created and completely confident in everything achieved. You are more than welcome to bring anyone along to the trial with you. Rachael recommends that you do some research prior to the trial to get an idea of what kinds of styles you like and then she will work with you to translate that to what suits you and all the parts of your wedding. It is a good idea to have any accessories with you at the trial. ​Contact Rachael here for a quote today. 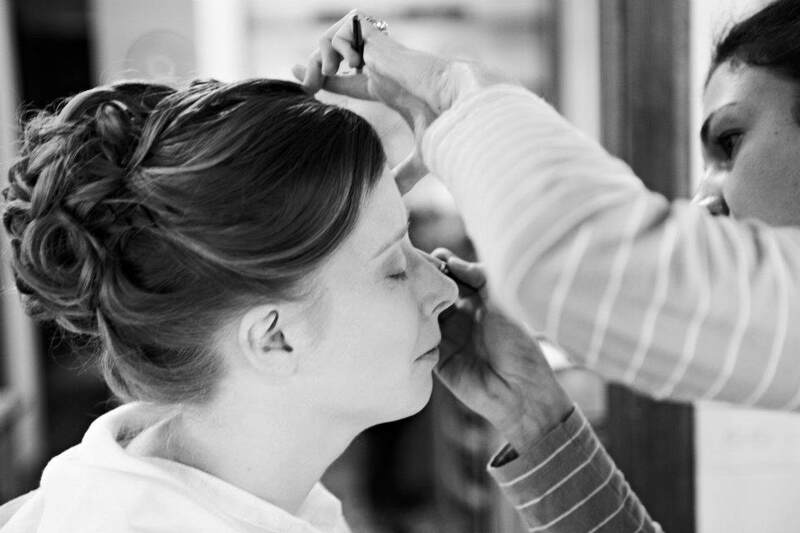 For that extra special treatment on your wedding day, Rachael will come to your reception venue and freshen your hair and makeup before you step into your reception. This service includes all bridal party members.